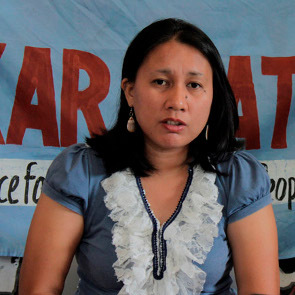 Honey May Suazo is Secretary General of the Southern Mindanao Regional Chapter of the Alliance for the Advancement of People’s Rights (Karapatan). 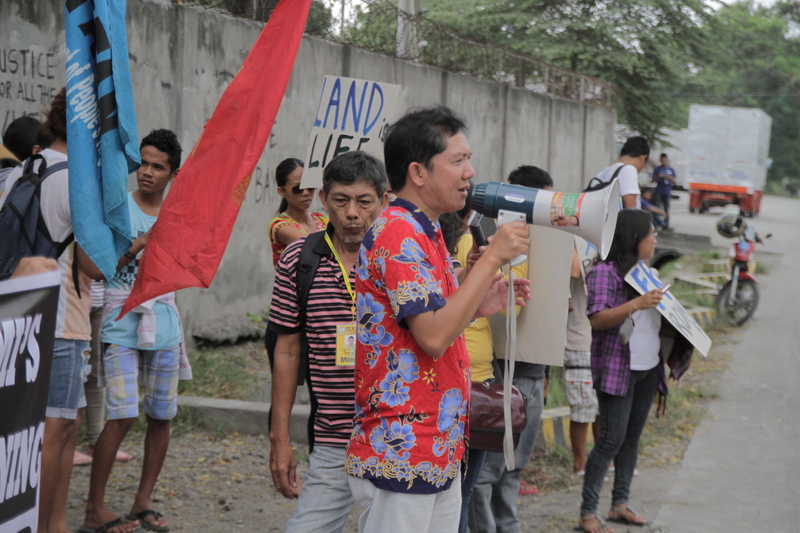 Karapatan is an alliance of individuals, groups and organisations formed in 1995 for the promotion and protection of human rights in the Philippines. It is committed to the defence of people’s rights and civil liberties through education, training, advocacy, research and network building. Honey May Suazo has undertaken several fact-finding missions, predominantly in highly militarised communities, and on several occasions has openly denounced human rights violations committed by military troops in the Southern Mindanao Region.